"It was ok but I didn't think this chicken was anything special. 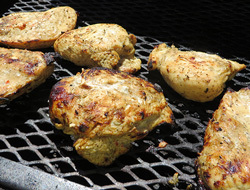 I would rather have it just basted with butter as I am grilling it." "This dessert was so good. Everyone liked it even the kids ate all of theirs. I was glad there were a couple of pieces left thought so I could have another piece the next day. It would be great made with blueberry pie filling too!" 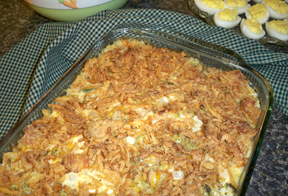 "This was so easy to make and it was so so good! I made it for a party we went to and everyone loved it. It is very addicting." "OMG! 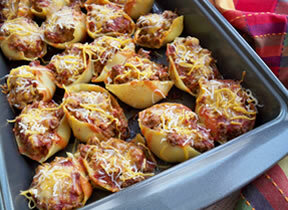 These are so good and so easy to make. 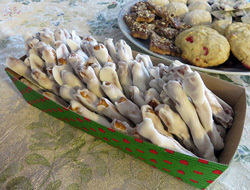 The almond bark with the salty buttery pretzels is perfect. I couldn't quit eating them and my kids loved them. We were glad we have a few left after Christmas." 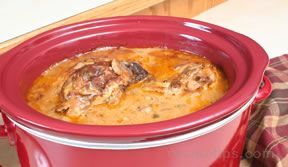 "This soup was a nice way to use the extra meat that is always left on the carcass. After cooking it the meat pretty much feel off. It was good soup but I used linguine noodles, broke in half, instead of egg noodles and it was a little hard to scoop up the noodles. Next time I will use egg noodles." 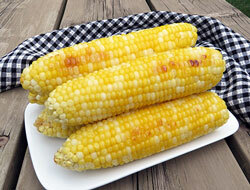 "We just picked the last of our sweet corn yesterday so I wanted to fix it for supper. It always takes so long for a large pan of water to boil on our stove so I thought I would try this recipe once. It was easy to prepare and turned out great. You didn't even need to add more butter when you ate it, of course, my husband did. I wished I would have tried this sooner. I will have to remember this recipe for next year." "OMG! I should have made two of these. I made it for my daughter's birthday party because she loves strawberries. She loved it and so did everyone else. I think we could have eaten another pan o it if I had made one. My husband was disappointed later that night when there wasn't any of it leftover." "Great fruit salad. 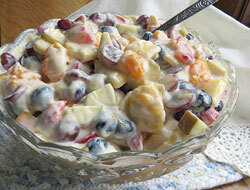 The sweet cream cheese dressing was perfect with all the different types of fruit. My son loves fruit so he thought this salad was yummy." "This fish turned out great. 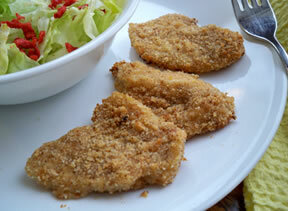 Best part was you don't end up with a greasy mess when you are done cooking it and the kids loved the fish." 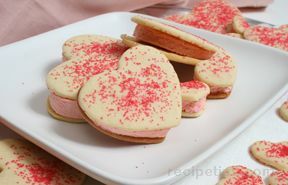 "I made my own heart-shaped sugar cookies for these sandwiches. I had a little trouble with the cookies breaking but not bad. The kids loved them. 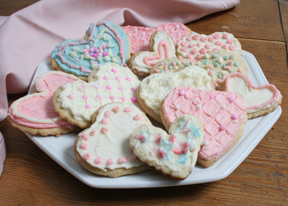 It was a fun treat to make for them." 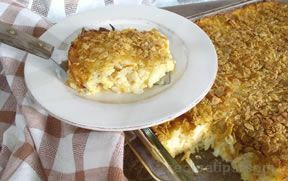 "This is my favorite breakfast casserole. It was so easy to make. I am making it again this weekend because we are having company. It will be perfect for Sunday morning." 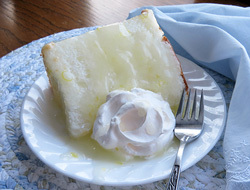 "This super easy cake was a big hit at our house. 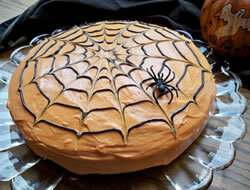 Using a cake mix made it easy to prepare and the spider web was simple to make. It was funny how that simple decoration caught the attention of the kids. Usually they are too busy for dessert after dinner but they all wanted a piece of this cake." "Great salad! 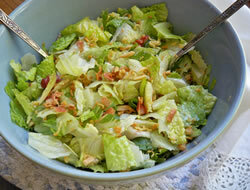 I loved the crunch that the noodles and almonds gave the salad. 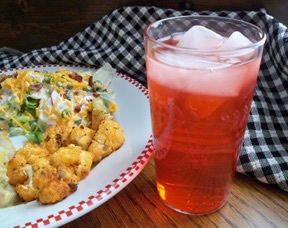 This salad was easy to make and we all loved it. 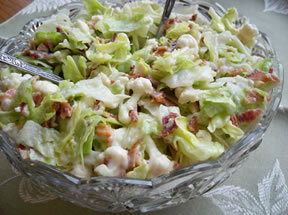 I did have dressing leftover so I am going to use it on just a regular lettuce salad." 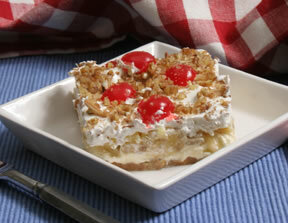 "I used apples from our apple tree to make this apple crisp. I wasn’t sure how the apples would be since I had never made anything from them before but it was great. 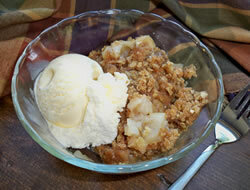 We loved the apple crisp served warm with ice cream. I am going to make it again this weekend when we have friends over." "OMG! I made these for my son's birthday party instead of having a cake because he doesn't like cake. The kids thought they were awesome. Most of them had a couple of them by the time the party was over." "Fantastic dip! Only problem with it is that you can't quit eating it once you try it." 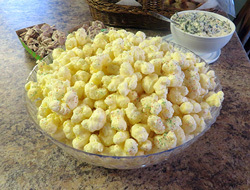 "I make these all the time for the kids, sometimes for a snack and sometimes for their lunch. 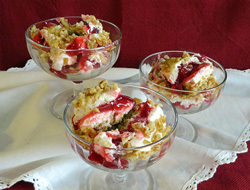 I try to have ingredients on hand because they are quick and easy to make. I use whatever cheese I have on hand." "We love these potatoes. It seems like I make them every time our family gets together because that is what they all request. 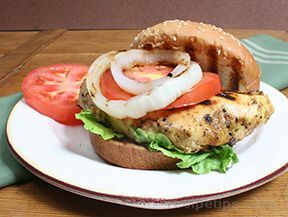 It is just a great side for any type of meal." 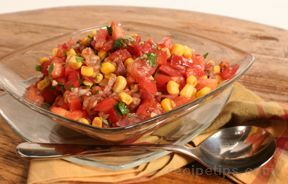 "I made this salsa with canned tomatoes because my garden tomatoes aren't ready yet. It was a great fresh salsa. It was gone in no time! I can't wait to try it with my garden tomatoes." "This cake was so good! 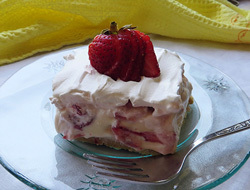 The cream and rhubarb formed a custard-like bottom that was delicious. This was an easy recipe to make and it turned out great. 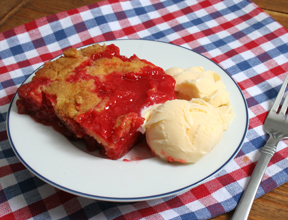 Can't wait for more rhubarb to be ready so I can make it again." 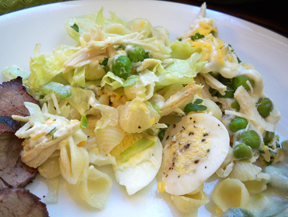 "We fix salad a lot with our meals so I am always looking for something different that is simple. This salad only has three main ingredients and a quick dressing. We really liked it and we just used bacon bits rather than frying bacon but it was still very good. I am sure it would have been even better if I would have used real bacon." 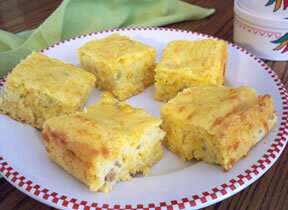 "This Mexican Corn Bread was tender but firm and it had so much flavor. 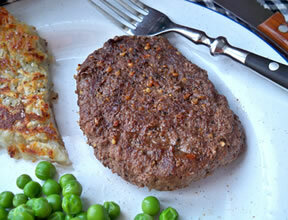 I only used 1/2 of the onion and minced it pretty fine. 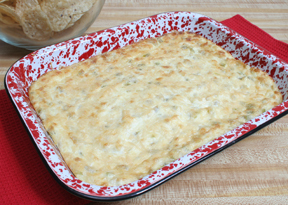 The cheese, corn, chilies, and jalapeno really gave this bread a boost of flavor. It went great with the Taco Pasta." 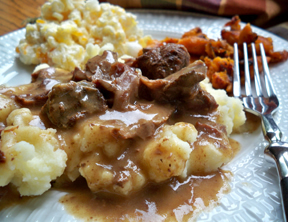 "This was an easy week night meal and the kids loved it. It was really tasty and so simple to make. I made them up the night before and baked them when I got home from work. We will be having these again soon." 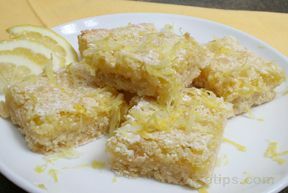 "Great lemon bars! They reminded me of the lemon bars my grandma use to make. I didn't have a 9 x 9 pan so I made them in a 9 x 13. 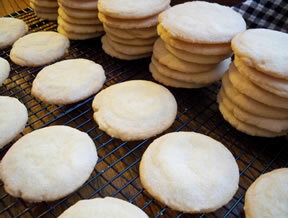 They were just a little thinner than these look but were still delicious." "I am always looking for an easy punch to make when we have friends and family over for dinner, especially when there are a lot of kids coming. 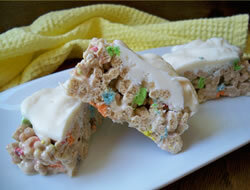 This recipe couldn't be any easier to make and it is just the thing for kids. It was perfect for Christmas but I will be using it a lot in the future." 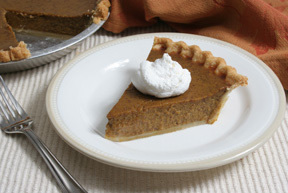 "I have never made a pie before but my 3 year old son kept asking for a pumpkin pie so I decided to try it. It turned out pretty good. I used a refrigerated pie crust so that made it easier. After I got it done may son was disappointed . . . I think he thought it should have looked like a jack-o-lantern. He did eat a little piece though." 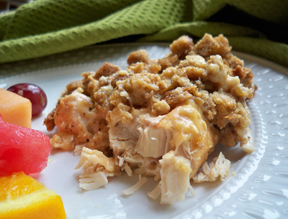 "Great recipe! Using the rotisserie chicken really made the recipe easier to make. I had my folks over for supper with I made it and my Dad loved it with all the different vegetables and he thought it was really flavorful. He ate two big bowls of it!" 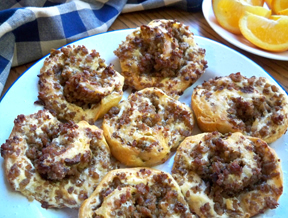 "These sausage pin wheels tasted great but they didn't look too great. 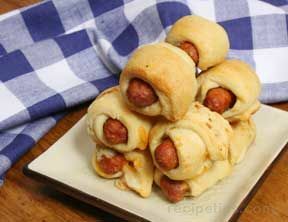 They were hard to roll up because the dough was so soft. The crescent rolls wanted to stick to the pan with I tried to roll them up. Maybe greasing the pan first would help. Next time I might try cutting the rolled out dough into two sections so I am not trying to roll up such a long flimsy piece. Taste was good, just have to get the rolling technique down better." 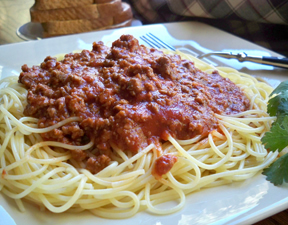 "The perfect spaghetti sauce recipe for our house. There are not chunks of stuff in it that make my kids turn their noses up. They all ate it with no complaints. I couldn't believe it!" 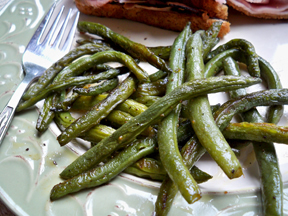 "My new favorite way to cook green beans! These fried beans were easy to make but they are full of flavor." 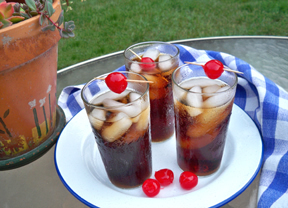 "I like to make these cherry colas for the kids once in a while. They think they are a special treat when I add cherry to each one. 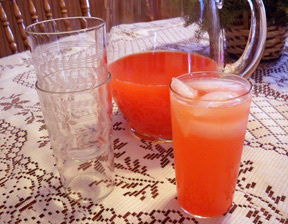 I usually add more cherry juice than what is called for just to boost the cherry flavor a little more." 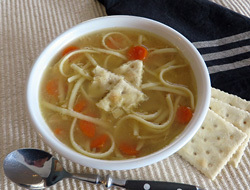 "I have been searching and searching for a recipe to use our soup bones in, other than soup. This recipe was fantastic. The meat fell of the bones and the gravy was the best I have ever made. 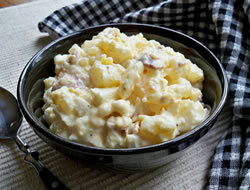 My kids loved it over the mashed potatoes. I am not great at making homemade mashed potatoes but it was well worth the effort. I think the potato water help make the gravy so good. 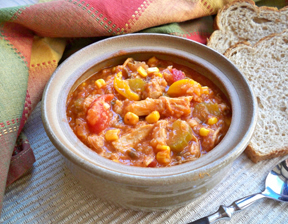 Will definitely use this recipe again!" 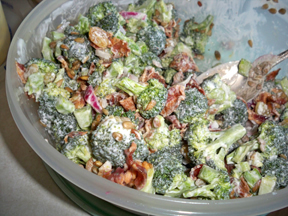 "I have made this salad several times and someone is always asking for the recipe. The bacon and raisins really add to the taste." 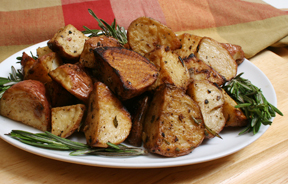 "Good grilled potatoes but next time I think I will leave out the rosemary because I am not crazy about it. Also, had to grill for longer than 20 minutes for potatoes to get done." 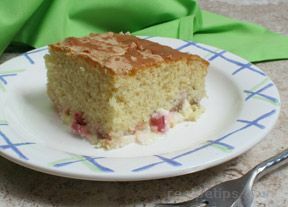 "This rhubarb dessert was good but just not as good as some of the other recipes I have for rhubarb. Make sure you keep it in the frig, otherwise it gets pretty soft." 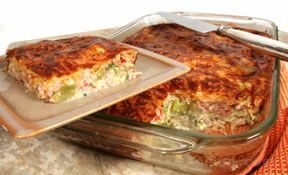 "Good recipe to use zucchini in. The French fried onion rings on top were a nice addition. They add crunch and flavor." 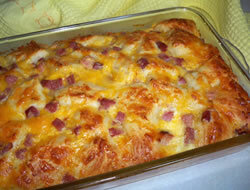 "Good breakfast bake! I left out the mushrooms though because we don't like mushrooms. I think it would also be good with asparagus in place of the broccoli." "This dessert was good and everyone liked it but you will want to make it when you know most of it will be eaten right away because it didn't keep real well. It was a little watery the next day and the bananas darken." "These were fun to make and I got lots of compliments. For cutout sugar cookies these were really tasty. 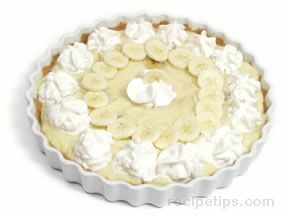 I used almond extract in the frosting rather than vanilla." "Delicious! 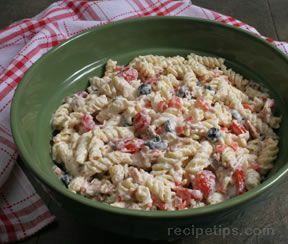 This pasta salad was easy to make and had lots of flavor. I will be making this one again soon." "Easy recipe! 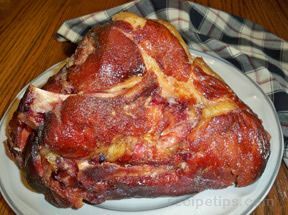 Great way to cook a ham. 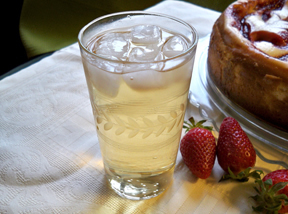 We liked the slightly sweet flavor of the brown sugar and honey glaze."